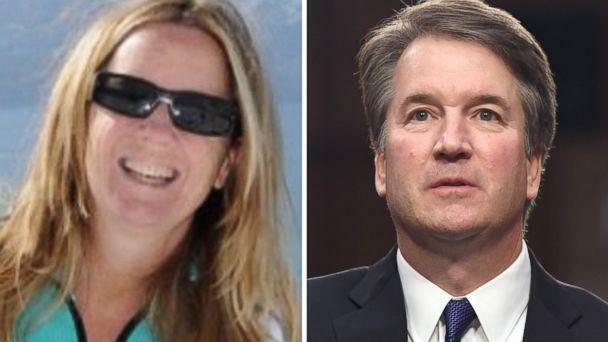 Lawyers for Christine Blasey Ford, the woman who has alleged Supreme Court nominee Brett Kavanaugh sexually assaulted her when they were both teenagers, told the Senate Judiciary Committee Thursday that she "would be prepared to testify next week." Thursday evening, the White House released a letter from Kavanaugh saying, "I will be there" on Monday, the day on which both were originally invited to testify. In the text of an email, Ford's lawyer Debra Katz said, "she wishes to testify, provided that we can agree on terms that are fair and which ensure her safety," noting that Ford has received death threats. It wasn't clear whether Ford was willing to testify in public, in private or in some other form. The letter from Ford's legal team also said it is "not possible" for Ford to testify at Monday's scheduled hearing, as Republicans want, saying "the Committee's insistence that it occur then is arbitrary in any event." The letter also made clear that Ford's "strong preference continues to be for the Senate Judiciary Committee to allow for a full investigation prior to her testimony." An aide to Sen. Chuck Grassley, chairman of the Senate Judiciary Committee, confirmed the email's contents, and the email was later also obtained by ABC News. The aide said, "We are happy to hear from her," adding the committee would work with Ford's lawyers. In the letter from Kavanaugh to Grassley, he also said, "I look forward to the opportunity to testify before the Committee. I also appreciate the time that Committee staff took to interview me on Monday, September 17. During that interview, I twice requested a Committee hearing for the following day, Tuesday, September 18. I continue to want a hearing as soon as possible, so that I can clear my name," he said. "Since the moment I first heard this allegation, I have categorically and unequivocally denied it. I remain committed to defending my integrity," Kavanaugh said. Also Thursday, Vermont Democratic Sen. Patrick Leahy, joined by all other Judiciary Committee Democrats, sent a letter to FBI Director Christopher Wray, asking for the agency to immediately investigate "alleged death threats" against Ford, "the hacking of her email and the harassment and intimidation" they said she has faced "since being forced into the spotlight late last week." "Americans are closely watching," their letter reads. "We strongly believe that how Dr. Blasey Ford is treated in this moment reflects upon how seriously our Nation treats credible claims of sexual assault, and whether we have learned from past mistakes."